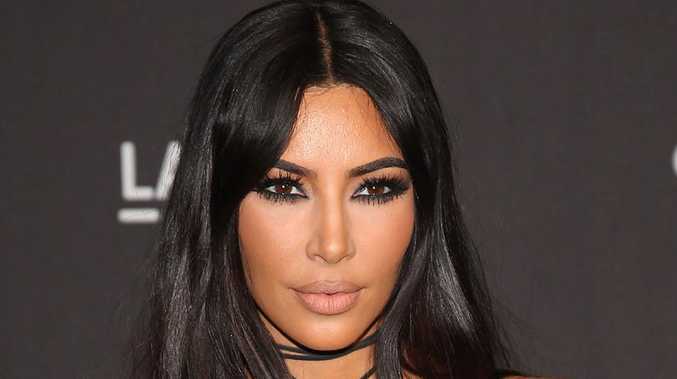 KIM Kardashian was given just one hour to evacuate her Calabasas mansion with her three kids, as devastating fires continue to rage through California. 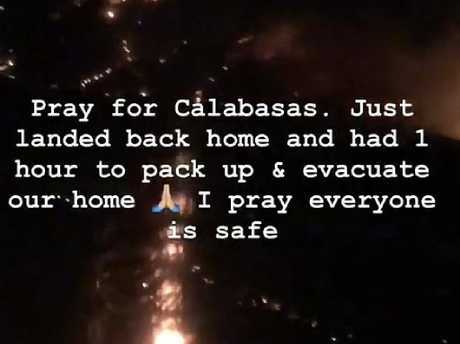 Taking to Instagram to post photos of the vivid flames spreading throughout Los Angeles, the reality TV mogul asked her followers to "pray for Calabasas." Kim revealed to her millions of followers that her and kids North, Chicago and Saint only "had 1 hour to pack up & evacuate our home." 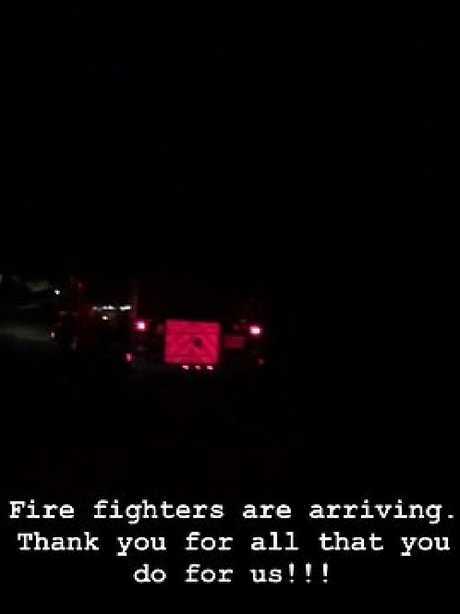 She captioned one video: "Fire fighters are arriving. Thank you for all that you do for us!!!" The fire broke out on Thursday northwest of Los Angeles and roared southward, jumping the U.S. 101 freeway early Friday and sweeping into the Santa Monica Mountains. Malibu has about 13,000 residents and lies along 34 kilometers of coast at the southern foot of the mountain range. The Los Angeles County Fire Department tweets that the fire is headed to the ocean, punctuating the message with the declaration: "Imminent threat!" Kim and Kanye's sprawling estate in the gated community of Hiddn Hills is estimated to be worth a cool $20 million. Kourtney Kardashian was also forced to flee, posting photos of suitcases in her car as she sought refuge at Kendall Jenner's house in Beverly Hills. Kris Jenner's neighbourhood was also evacuated, but the momager was in New York at the time watching Kendall storm the catwalk at the Victoria's Secret fashion show. New mum Khloe tweeted her whereabouts, saying: "I am with Rob, Dream and True and I am up keeping watch! Saying prayers and thanking all of the brave firefighters who risk their lives for us." On Thursday night, the City of Calabasas' official Twitter account announced that the Woolsey Fire grew to over 2,000 acres with 0 percent containment. The Los Angeles County Fire Dept. ordered a mandatory evacuation in all areas north of the 101 freeway; voluntary evacuations were in effect for Calabasas areas south of the 101. The Ventura County Fire Dept. reported that 30,000 homes in the area of the Woolsey Fire were threatened. 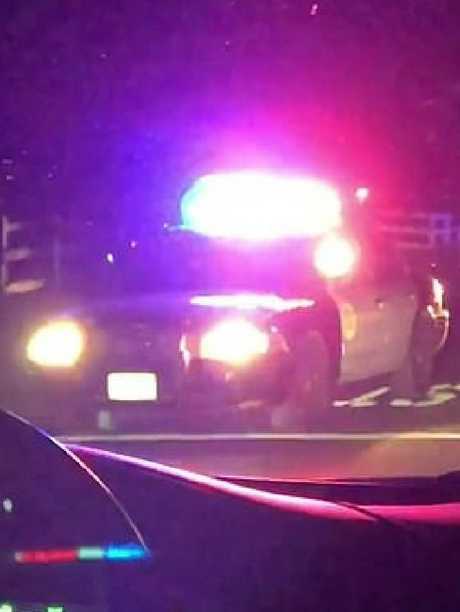 The star-studded neighbourhood of Calabasas is just 20km from Thousand Oaks, where recent a mass shooting at a nightclub left 12 dead.